We replaced our webcam this past weekend. The new camera has much better resolution and incredibly good low light visibility. 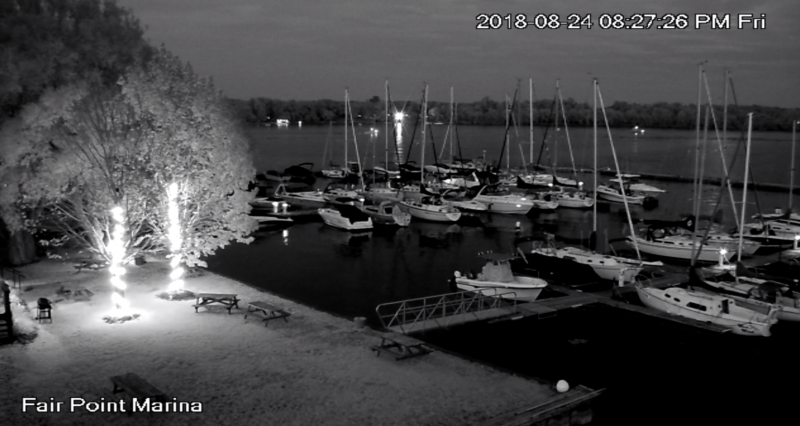 The first time we took a look at the camera at night, we were amazed by how much detail you could see. 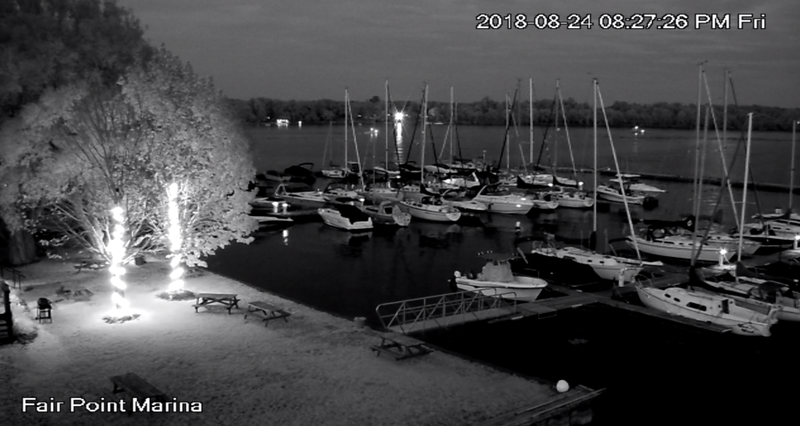 The video feed from the camera is now on our Marina Webcam page which is located under the “For Boaters” page of our website. The streaming settings need to be tweaked a bit more to provide faster loading and better streaming but we are working on it. We are also working with our streaming service to figure out a way to have the video display responsively to size of your desktop or mobile device. We hope to deploy something in the next week or two.